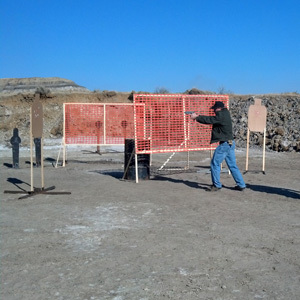 For USPSA match info, see the new USPSA Page! Be sure to check the Latest Action Pistol News for news, scores, match cancellations, etc. Open to club members, and non-members, the CR&GC invites you to come have a blast at our Action Pistol FUN Shoots. 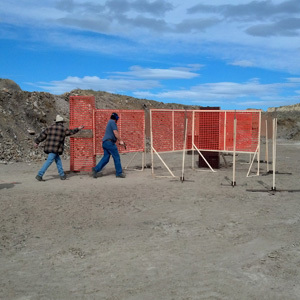 We general shoot 3 stages of self defense based handgun scenarios, and one stage of steel plates. All skill levels are welcomed and encouraged to participate! 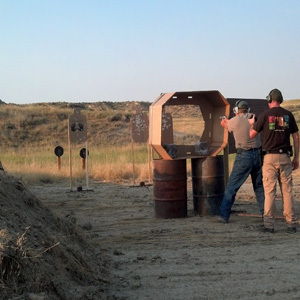 This is just a great way of having fun and getting trigger time that isn’t just sitting at a bench shooting bullseyes. No one should feel intimidated regardless of their experience level. You will only find a very friendly and new-shooter oriented atmosphere. Please arrive at the match with your UNLOADED handgun in some sort of range/pistol bag. You can handle all your gear, including ammo, EXCEPT your pistol, anywhere on the range. You may ONLY handle your pistol in the designated safe area between bays 2 & 3. You may NOT handle ammo in the safe area. Firearms should not be loaded at any time except when it’s a shooters turn to shoot and they are instructed to “Load and make ready.” However, magazines may be loaded at any time. Handling firearms outside of the safe area, or ammo in the safe area will result in being disqualified and asked to leave the range. If in doubt, ask one of the Range Officers. They will be happy to walk you through procedures. New shooters that miss the safety meeting will not shoot. Action Pistol Season 7 Kicks off!